SAN FRANCISCO, Calif. /California Newswire/ — Wattcoin Technologies Inc., a platform-as-a-service (PAAS) solution for energy companies to manage their customer's billing processes, energy savings and renewable energy investments, opens office in San Francisco, California. Built on the decentralized Ethereum block chain platform, Wattcoin(TM) uses a system of smart contracts to move value around the globe. Block chain system lacks a centralized bank, making integration efficient and "fault tolerant" even where local currency and trading systems are unstable. "With the surge of interest and adoption recently, regarding block chain based services, Wattcoin is perfectly positioned to become the platform for the value exchange of energy," states Wattcoin(TM) co-founder Ben Johanns, 18-year-old University of Wisconsin Engineering student. "I believe that Wattcoin has the potential to greatly change how the world values and uses energy." Wattcoin(TM) Pay, Wattcoin(TM) Rewards, Wattcoin(TM) Investors are the three products that will disrupt the energy currency sector. Financial technology enables instant transfer of funds with near field transmission, minor transaction fees and better customer experience. Wattcoin(TM) believes that while supporting the renewable energy industry, it will help empower the 1.3 billion people without electricity in the world, that is about 18 percent of the world population. 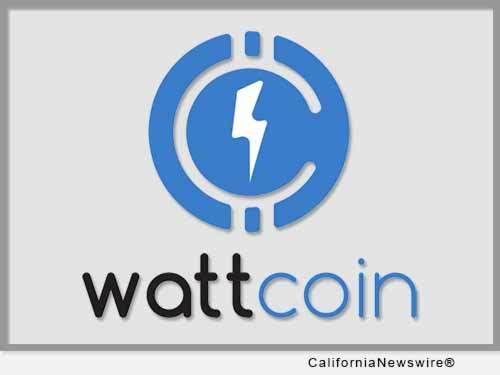 Wattcoin(TM) is a Delaware Company with headquarters in San Francisco, Calif. It is co-founded by Ravi Singh and Ben Johanns, and has senior advisors Dr. Mohanbir Sawhney, Dr. Mohammad Shahidehpour and Dr. Claudio Lima. For more information, visit http://www.wattcoin.com/ .